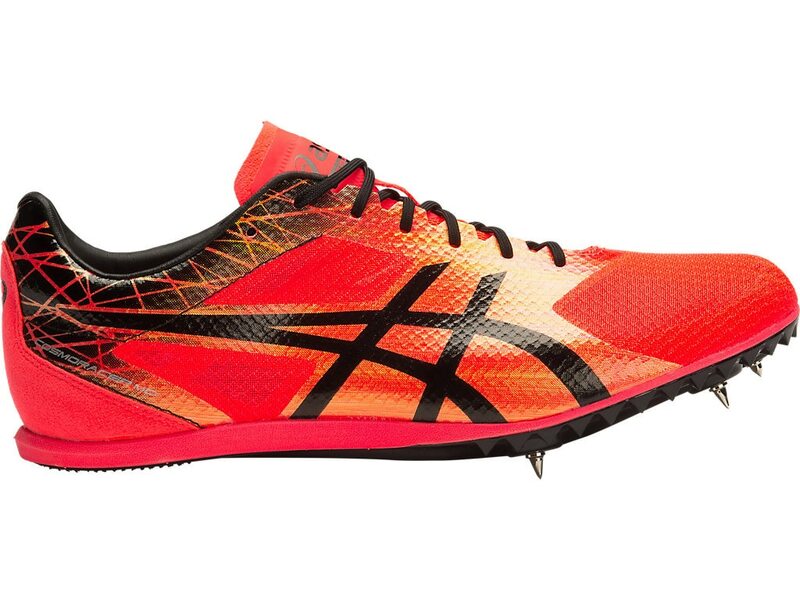 Designed for the middle-distance racer, our new COSMORACER MD track & field spike features lightweight mesh panelling and seamless overlays for support in every step. The full-length Pebax plate delivers structure and power, while the low-profile sole and lightweight Solyte midsole ensures better balance at high speeds. Includes 6mm pyramid spikes and wrench.